Logistics startup Seven Senders was founded by Dr Johannes Plehn and Thomas Hagemann in Berlin, Germany, in 2015. With the motto ‘You sell. We deliver’, the company is aimed at optimizing the delivery and after-sales process for online stores. 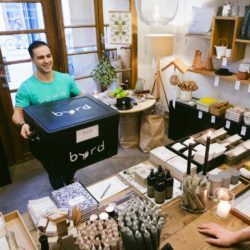 It utilizes a ‘virtual’ transport network of more than 40 European carriers combined with software solutions to ensure that the unique customer experience continues after checkout. 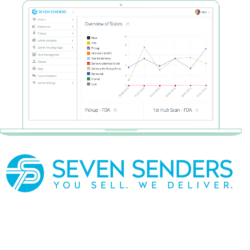 Seven Senders is focused on three main product areas: 7S Shipping, an end-to-end logistics solution that helps customers save up to 30 percent on cross-border shipments in Europe; 7S Tracking for tracking from checkout to delivery, including responsive design and customized language settings to support marketing and cross-selling opportunities after checkout; and 7S Analytics, the company’s web-based solution for parcel monitoring and proactive contact with customers in the case of delivery problems. 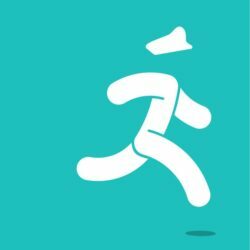 These solutions not only reduce clients’ shipping costs and delivery times, but also offer e-tailers greater real-time insight into their parcel shipping performance. 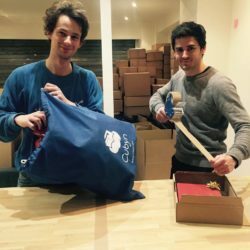 Seven Senders currently sends close to half a million parcels a month for clients including online stores such as Lesara, Juniqe, Mister Spex, nu3, Flaconi and Fitvia. According to recent figures, the company has consistently been achieving 30% month-on-month top-line growth for more than a year. The geographical coverage spans countries including Austria, Switzerland, France, the Benelux region, the UK and Ireland, Spain, Portugal, Italy and some parts of Eastern Europe. 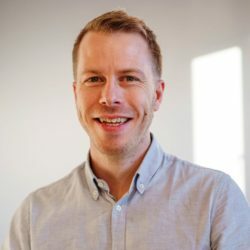 In a Series A financing round led by btov Partners in August 2017, the logistics startup secured EUR6.5 million which will support further development of its software solutions and services as well as further international expansion, such as in Scandinavia, and the set-up of courier networks in various urban regions.